Do you know how to properly inspect ladders before starting to use them—or why it’s important to do so? Failing to properly inspect each part of your ladder and your equipment could mean putting yourself in danger. 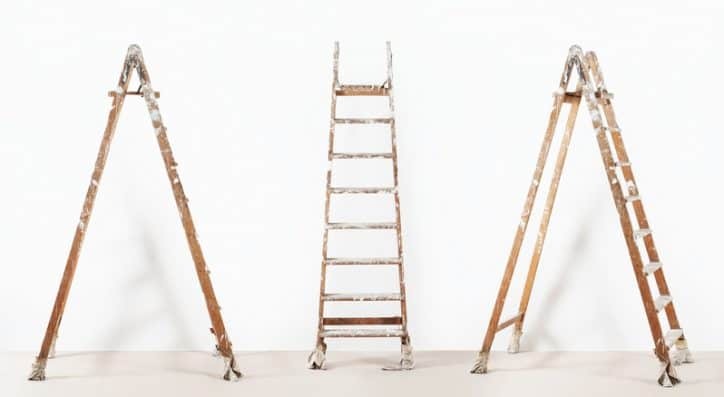 If you dispose of a ladder improperly, and it is picked up and used by someone else, you could be held liable if that individual is injured on the damaged ladder. Do not cut a ladder in half across the rails. It is possible that someone may still see this as a usable ladder and attempt to work with it. Instead, cut the ladder in half by cutting directly down the center of the rungs from top to bottom. Don’t keep ladder safety a secret. Share these quick reminders with employees and others to make sure everyone is taking the right steps to inspect and dispose of ladders. Take advantage of free resources—videos, checklists, flyers, infographics—and sign up for ALI’s free and on-demand Ladder Safety Training, which is applicable for ladder use at work and home. National Ladder Safety Month participants can use the official marketing guide and #LadderSafetyMonth on social media to amplify ladder safety awareness and promote safe practices across industries. Share how you’re supporting National Ladder Safety by emailing ALI Headquarters, and ALI will feature you on its Participation Map. ALI encourages people to practice ladder safety all year by accessing updated training and the latest research at https://www.laddersafetytraining.org/.